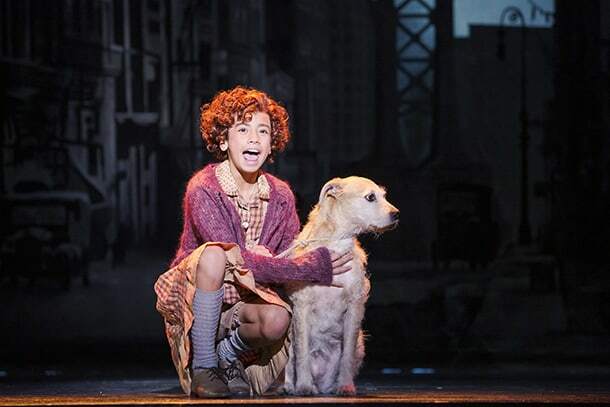 Visesia Fakatoufifita as Annie with her dog, Sandy. • Photo by Tracy Martin. Young actor Visesia Fakatoufifita is having a great time playing the eponymous role of Annie at The 5th Avenue Theatre. At her young age, Fakatoufifita already has years of training and experience. Annie runs through December 30 at The 5th Avenue Theatre, 1308 Fifth Avenue, Seattle.